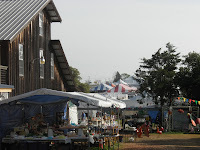 What the heck is a fine artist doing at a show in Warrenton Texas called Antique Week? That's what I asked myself as I was driving for 2 days to get there. Well, it had a lot to do with faith and an opportunity to travel again with Heidi. I also have good memories from my last event in Austin, Texas. Thought I'd give it a shot - I'm always up for adventure. 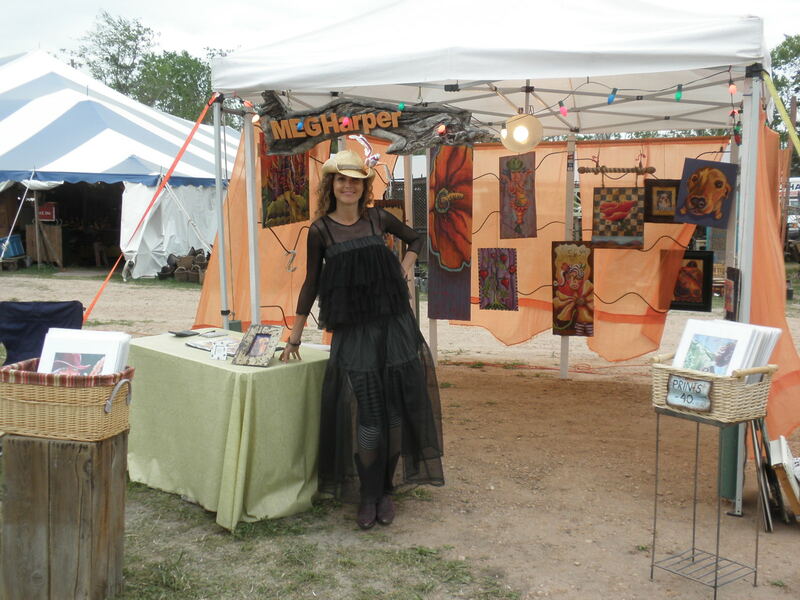 Turns out being the ONLY artist pretty much out of 2000 booths kinda makes me even more memorable. 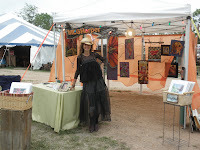 It was the best show yet, sold 5 originals and a ton of prints, earings, etc. Ya never know, such an interesting business indeed. 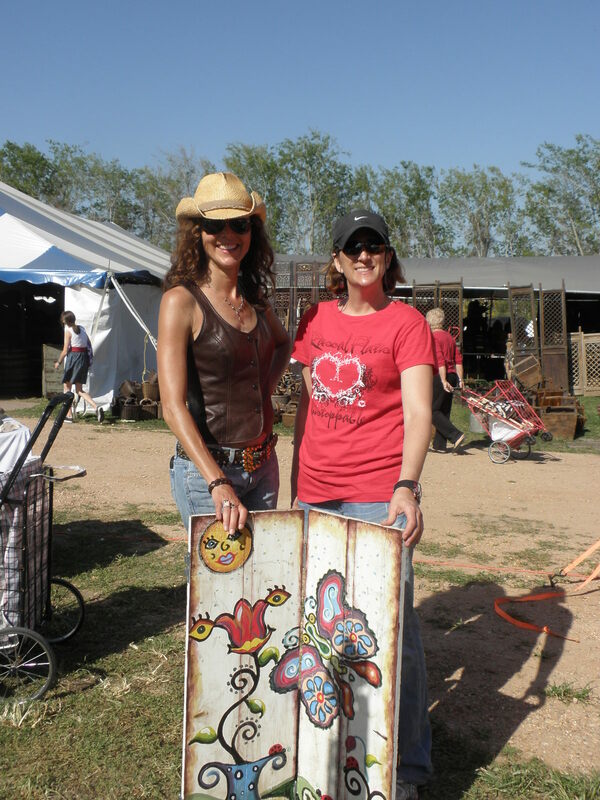 Heidi and I both had a great time with cowboy boots, country music, texas caviar, and the airstream of course. We even got to dress up for prom nite - An event that happened in our "field" while we were there. Can't wait to go back in the fall. 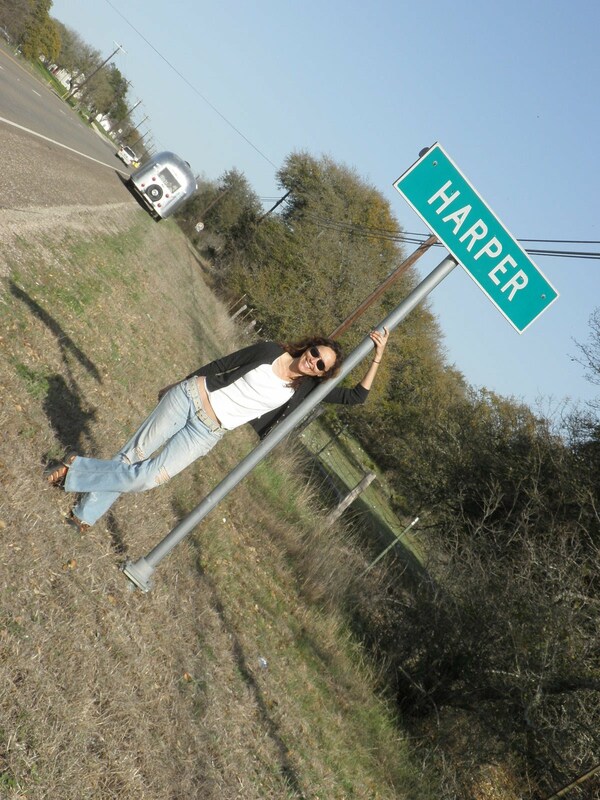 Love Texas Hill Country and love the people! 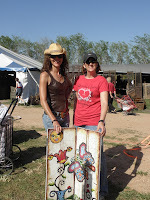 Photos: Left: Proud owner with painting I did AT the show on old shutters. Me dressed for Prom Nite. Couldn't resist taking a photo in Harper, Texas. Below: Barns and buildings and tents and more tents! Call for good animal photos: Please send me a funny, humorous, make you smile photo jpg. of your pet or an animal of anykind. If I use it in a painting I'll give you a free print!! Please give me input: Explain your deep internal reaction to my art and summarize it's signficance to humanity. I would like to put some of your comments up on my website. I'll send you a free print if I use your response.